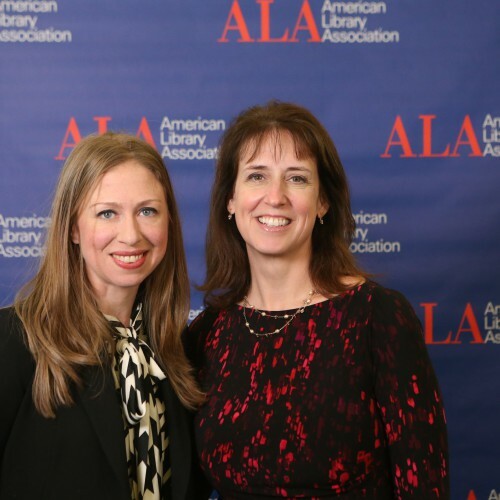 Leslie Preddy, School Librarian for Perry Meridian Middle School, was one of a handful of national library leaders selected to meet with Chelsea Clinton, Vice Chair of the Clinton Foundation and author of a book for young adults on community engagement and service learning. The discussion focused on civic engagement and the need for youth to be exposed to and understand research and data. Chelsea Clinton delivers her closing speaker remarks and discusses her book It’s Your World: Get Informed, Get Inspired & Get Going!